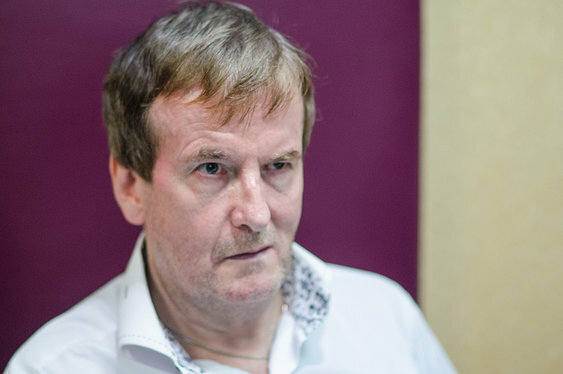 We're sad to report that one of the most recognisable faces in British poker, Dave 'Devilfish' Ulliott, has died at the age of 61. He had been suffering from colon cancer. The news was confirmed in a tweet from Dave's daughter on Monday evening. Ulliott was diagnosed with terminal cancer in February and was inundated with messages of support from all corners of the poker world once the news became public. Despite the severity of the illness, he remained typically upbeat, cracking jokes and keeping positive. “It is hard to believe that a good looking, smooth talking guy like me can get this response from dying. If I had known I would have done it a long time ago,” he told the Hull Daily Mail. “It is a hand that life has thrown at me. All my life I have had rubbish hands and I have managed to turn them around. It is what I am good at and this is no different." One of the stars of the ground-breaking TV show Late Night Poker, Ulliott inspired many a poker player to take up the game. TV producers and viewers may have lapped up the suit, shades and wise-cracking table talk but there was some serious poker talent behind the brash exterior. Ulliott earned a World Series of Poker bracelet in 1997 and beat none other than Phil Ivey to the World Poker Tour Jack Binion Open in 2003. All told he amassed career tournament earnings of over $4.6m. Away from the table, he also found time to pen a best-selling book, 'Devilfish – The Life and Times of a Poker Legend' which traced his journey from safe-cracking jailbird to champion poker player. The poker world has been quick to pay tribute to one of British poker's most legendary figures. Dave is survived by wife Anpaktita and eight children. We wish them all our good wishes at this difficult time.